Practice version of the PROM-1. It has the same dimensions but is used with a small training smoke charge. 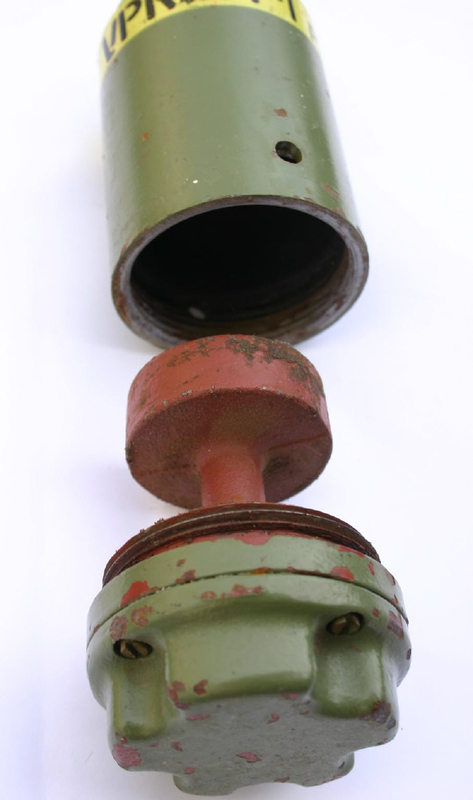 The yellow band around the body identifies it as a trainer. 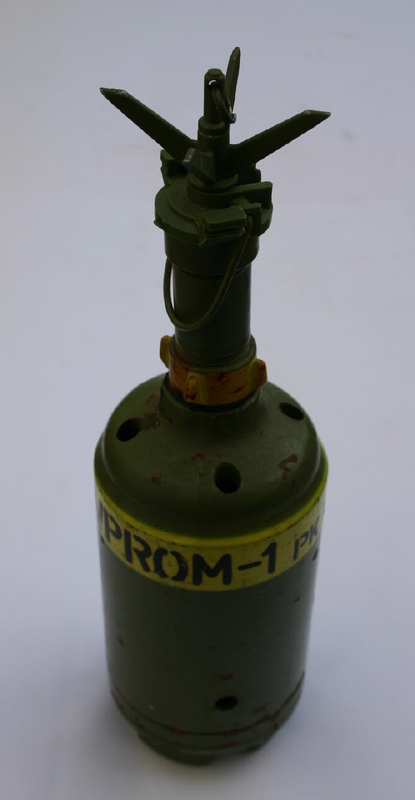 This is an older school version of PROM-1 mine, made in 1960's. 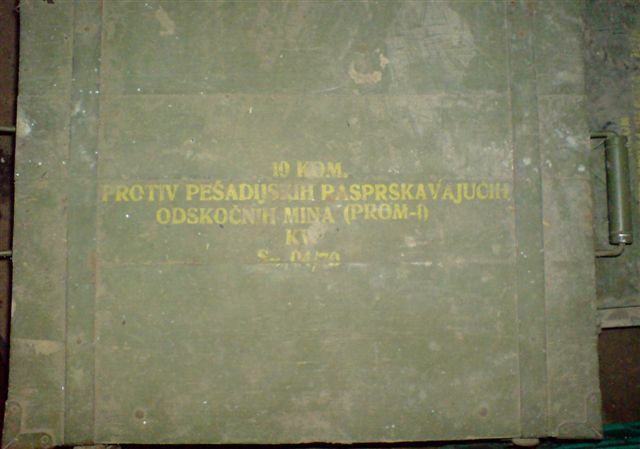 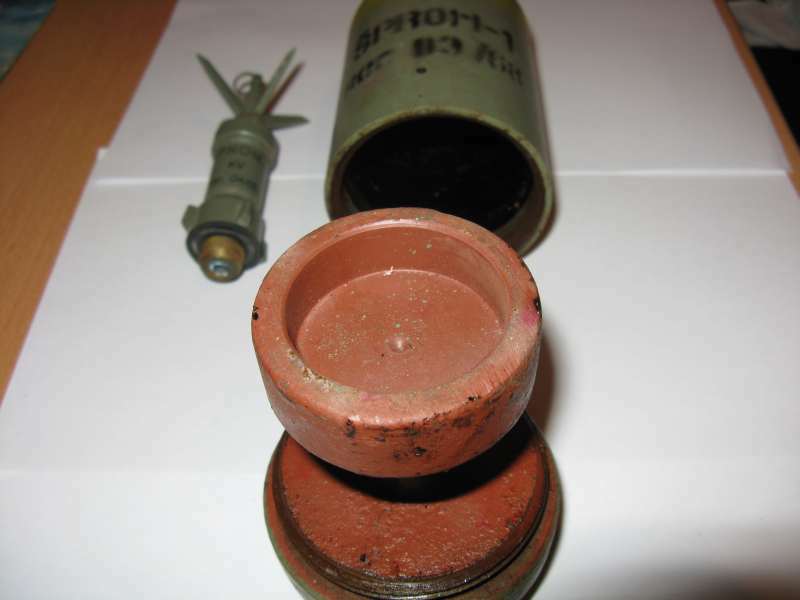 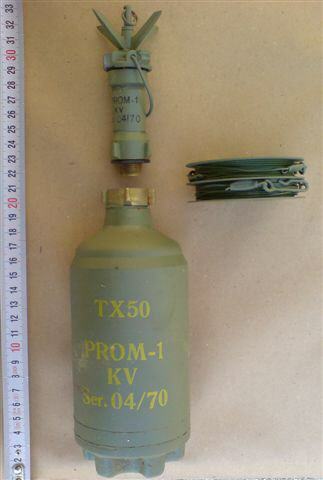 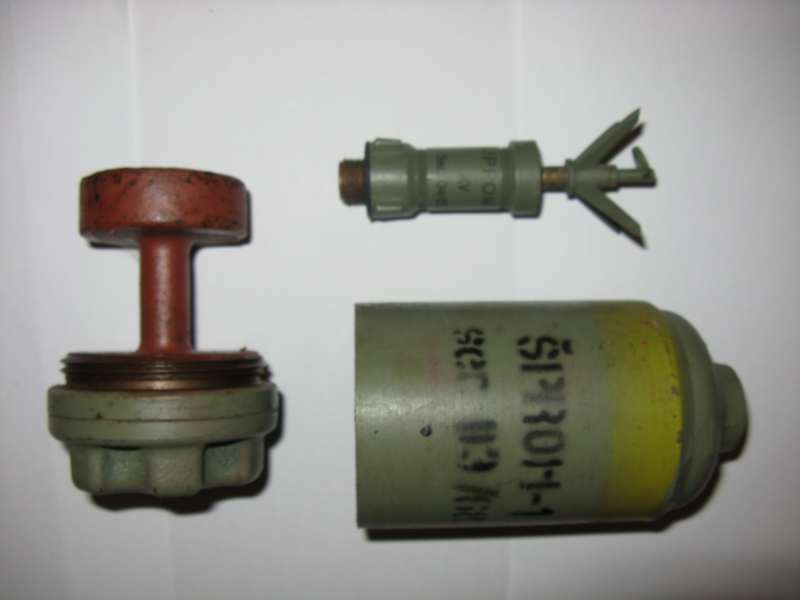 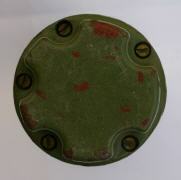 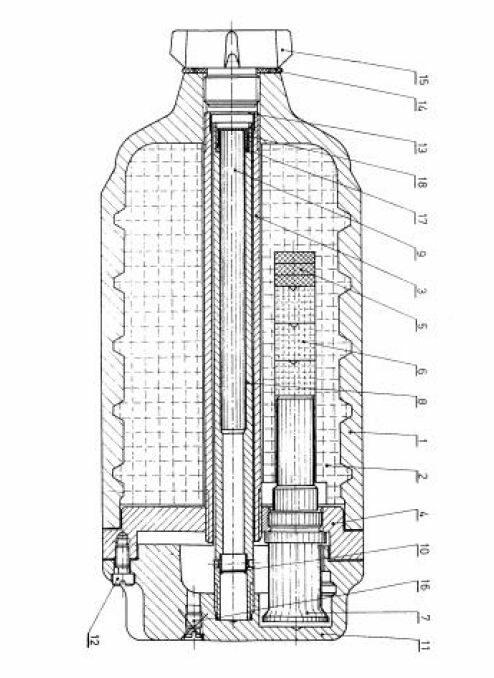 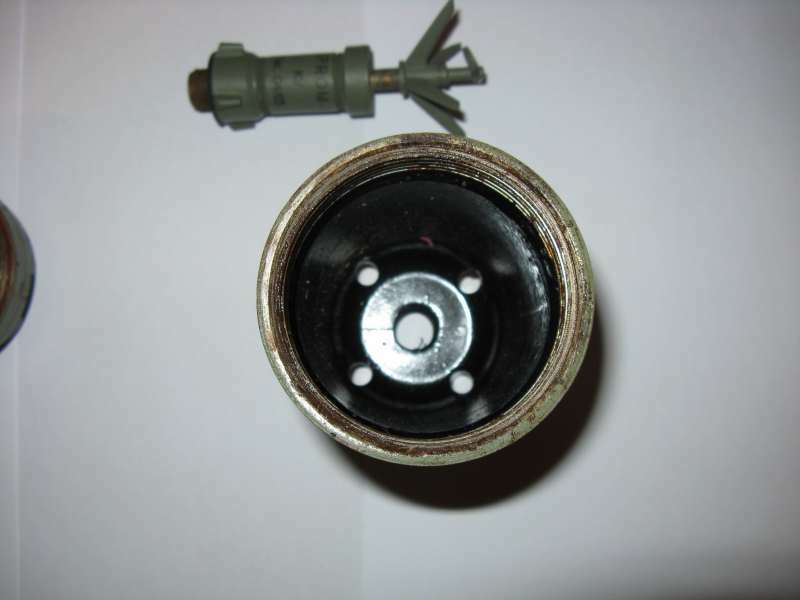 It was made in factory KV (KRUŠIK VALJEVO) from the same parts as practice mine VPROM-1 and from inside it also has a metal cup for fixing the smoke charge. It has four smoke emission holes drilled in the top of the body. 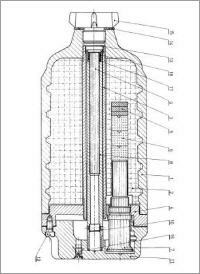 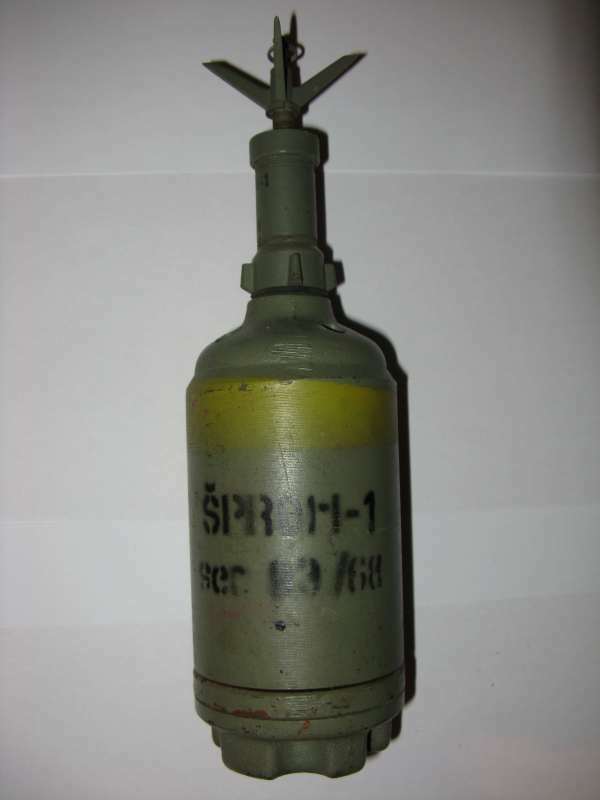 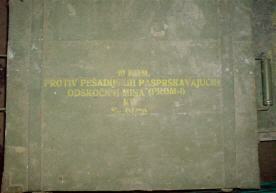 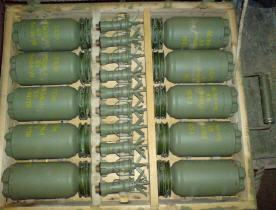 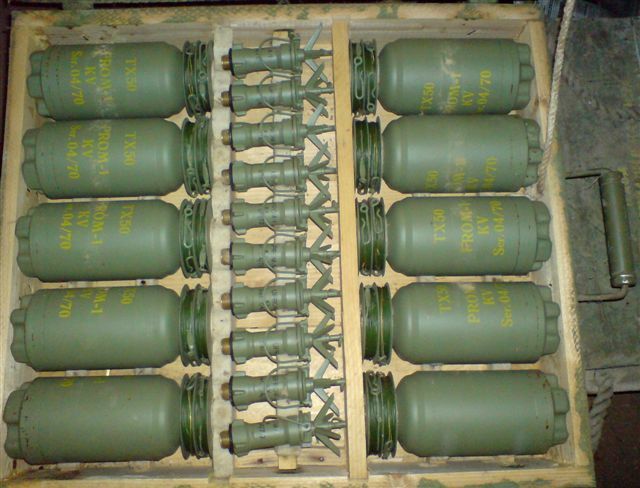 ŠPROM-1 were not to be used in the field for training soldiers, they were only used in classrooms.